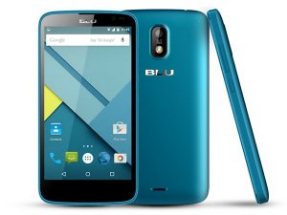 BLU Products, an American company is headquartered in Miami, FL with a warehouse facility over 80,000 sq. ft. BLU designs and manufacturers affordable, attractive and innovative mobile devices focusing on fulfilling the needs of the everyday person. The company has been in the mobile industry since 1995, in 2010 we decided to launch our own brand, BLU. BLU is pioneering the advancement of the prepaid and no-contract revolution, giving consumers a choice between network providers. In the beginning, BLU provided a vast portfolio of unlocked mobile phones to thousands of dealer agents, MVNO's, and large retailers throughout the United States, Caribbean and Latin America. Now with our new Hong Kong distribution center, BLU is known as a global brand. With an emphasis on giving what today’s mobile users need, and always launching new models, BLU successfully gives consumers what they are looking for in a mobile device at an affordable price without sacrificing fashionable design and quality. Our 1st priority is the consumer. BLU continues growing at a rapid pace fueling passionate followers and fans throughout the world. Sell Any Mobile is currently comparing 1 mobile phones and gadgets prices from UK's top recycling companies of 2017 that buys Blu mobiles. You can get as much as up to £80.00 if you sell your Blu mobile phone today. We update our database of 1 mobiles almost every 2 hours to get you the best price you can get in UK.